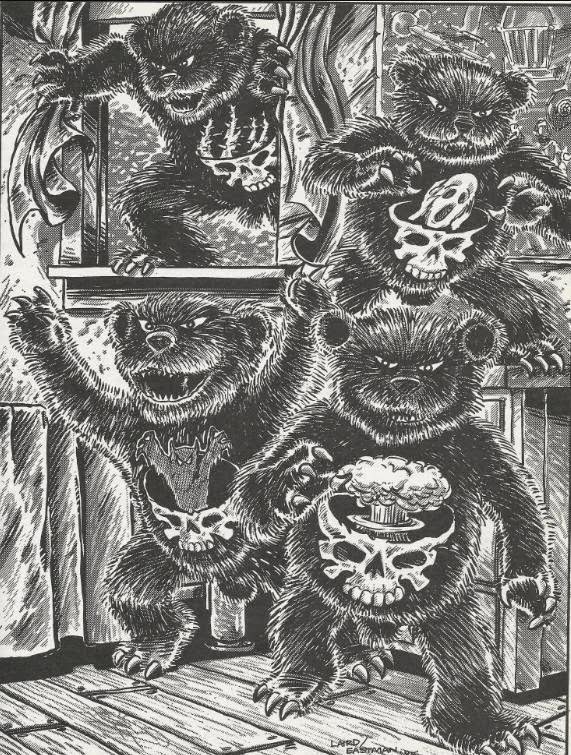 With Halloween a week away, let's bask in the glory of one of the TMNT's more obscure, and frightening, adversaries: The Terror Bears! 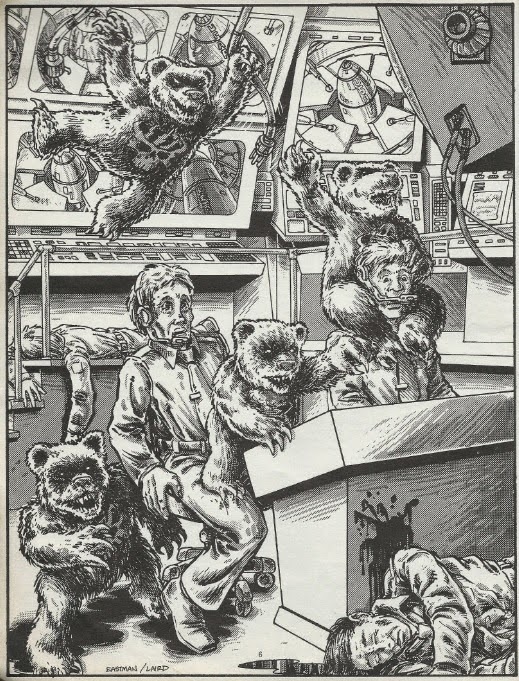 Pain Bear (vines), Fear Bear (the scream), Nightmare Bear (demon) and Doom Bear (mushroom cloud) escaped from the laboratory where they were created with the singular goal of worldwide Armageddon. 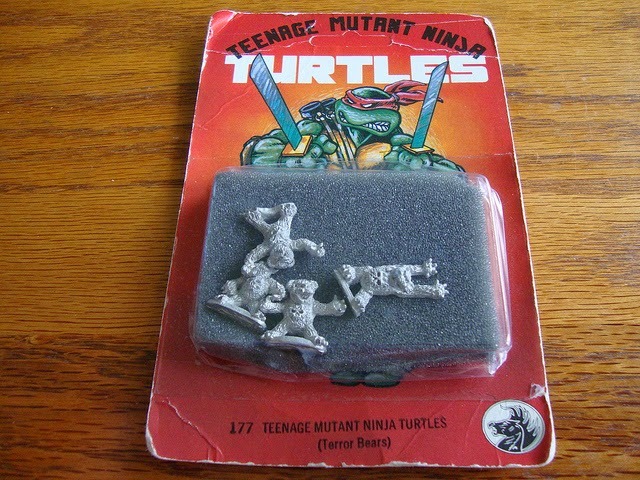 And depending on how well you played the RPG TMNT & Other Strangeness, they may have succeeded. The Terror Bears only received one piece of merchandise I know of: Pewter miniatures from Dark Horse (not to be confused with the comic book publisher). I love these little guys; a shame they never appeared in any comics. There may be muddy rights issues involved with the characters, since they only appeared in the RPG sourcebooks by Palladium and I don't know who retained ownership over characters created exclusively for those things (be it Mirage or Palladium). Whatever the legal case may be, we eventually received spiritual successors to the Terror Bears in the Nickelodeon TMNT cartoon for the third season. 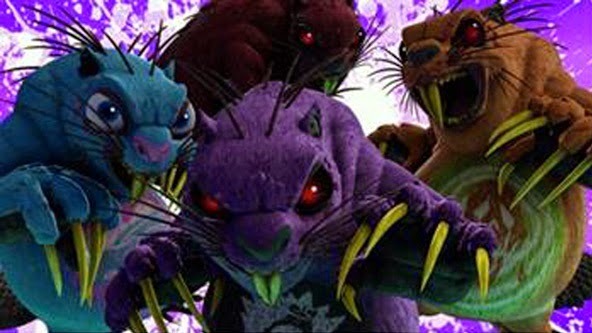 They're Dave Beaver (blue), Dark Beaver (red), Dire Beaver (purple) and Dread Beaver (orange). 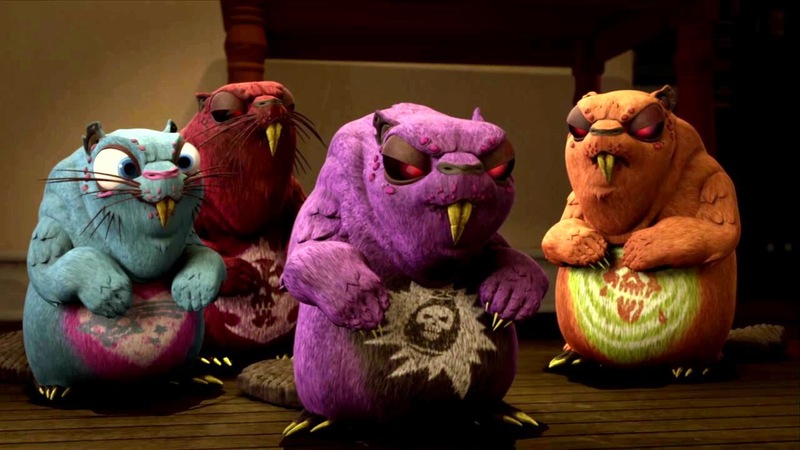 Appearing in the episode "In Dreams", they were pretty awesome. And voiced by Robert Englund (Freddy Krueger) and John Kassir (the Crypt Keeper), too! Bill Moseley (Chop Top from Texas Chainsaw Massacre 2) also played a character in the episode, because for some reason the people at Nickelodeon decided to make a TMNT episode especially for me. I'm looking forward to Dream Beaver action figures! Terror Bear customs would be pretty easy, using some Care Bear figurine base. That would be a fun project! In fact, I think they were a parody of the Care Bears.